Kane Baker could come flying down the weights in 2018 after signing off for this year on his own turf tomorrow evening. 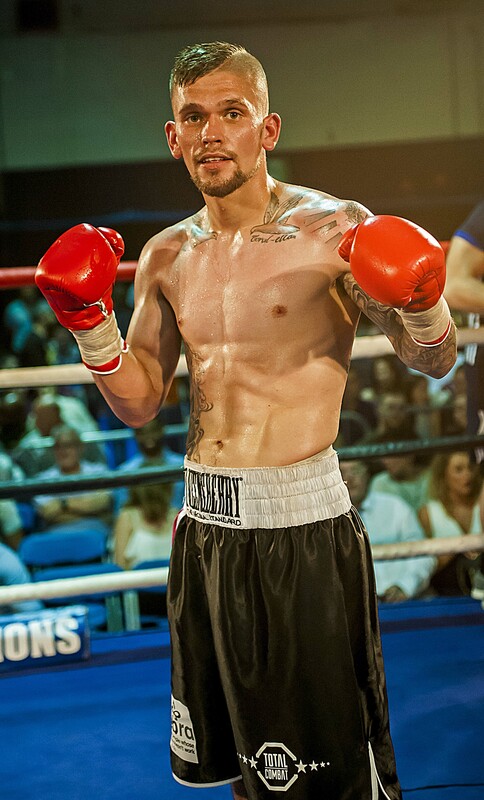 The born and bred Brummie features on a three-fight dinner show at the Holiday Inn Queensway in Birmingham later this week. He features on a bill staged by Errol Johnson’s BCB Promotions, which has been titled ‘the Fight Before Christmas.’ Baker had been due to box four days previously. Clearance was not obtained from the British Boxing Board of Control in time for him compete on last Sunday’s fight night, which was at Walsall Football Club. He received the standard month-long ban for suffering a cut against Gary Cully, who he took the distance, with the BoxNation and BT Sport cameras present, on November 18. Baker’s previous outing saw him go in with Conor Benn – the son of legendary former world champion Nigel – under the Matchroom banner. The 27-year-old, who turned over from the unlicensed circuit, went down fighting in two rounds and insists he’ll continue to take on all comers. That might not be in the welterweight division, though, with the pounds dropping off Baker, managed by PJ Rowson, since taking up training with Johnson and coach Paul Mann on a permanent basis. He could travel down as far as super feather but must first deal with Chris Adaway, who was a well-schooled amateur with the Mayflower Boxing Club in Plymouth before turning pro. Baker had racked up four points victories beforehand and is keen to redress the balance, before considering what’s ahead for 2018. He said: “I rate Adaway and I know I’m in for a hard fight, but I need to get back to winning ways and he’s standing in my way of getting there. “The past couple of fights have been tough for me, but I’ve loved being on the big stage against prospects and I’d do it all again. Those promoters know where I am if they need me. “I’ve never trained like I have under Errol and Paul, they’ve got me in great shape and, hopefully, you’ll see how fit I am on the night. “We’ve been talking about coming down the weights, I feel fine at well below the welter limit and I feel I could get rid of more if I had to. An eight-rounder and a contest over six complete the line-up, with West Bromwich’s Tom Stokes tackling capable former area champion Nicky Jenman over the longer distance. Jordan Clayton tackles Danny Little in the other bout of a card where tickets are still available, but must be booked in advance. They can be purchased by contacting the boxers on Facebook or online at iboxingtickets.com at a cost of £65, which includes a two-course meal. The weigh-in and aftershow take place at Grosvenor Casino Birmingham Hill Street, Hill Street, B5 4AH (just a two minute walk from the venue).